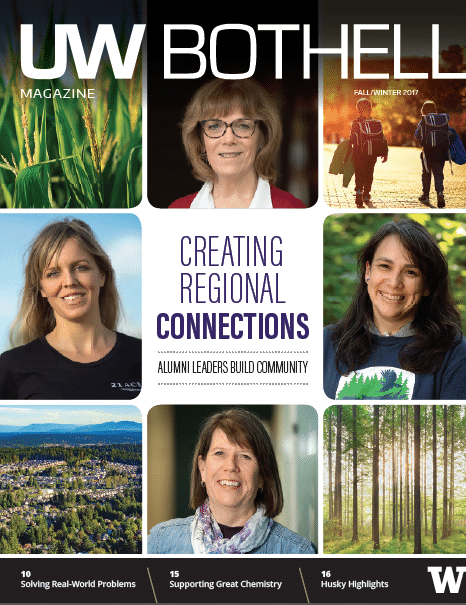 UW Bothell Magazine published an excellent article featuring our Volunteer Coordinator, and UW Bothell alum, Gretchen Johnson! Gretchen’s work with 21 Acres began as a community service assignment for her undergraduate class, Topics in Sustainability. Seven years later Gretchen is still with us, inspiring other volunteers to love 21 Acres as much as she does! Lots of alumni are doing exactly that. Johnson didn’t merely land a good job; she forged a new liaison role. Gretchen isn’t our only UW Bothell alum! Marshall Leroy, 21 Acres Youth Farm and Garden Education Coordinator, and our Administrative Assistant, Krystal Wasson (Whitaker), who works our front desk, are also graduates of UW Bothell’s School of Interdisciplinary Arts & Sciences.